Representing Cuba, Gustavo “El Gladiador” Balart, 32, did not win in his ONE Championship debut. But he won the hearts of the predominantly Filipino crowd. In Balart’s first ONE Championship outing, he faced Tatsumitsu “The Sweeper” Wada, 30, of Japan in the quarter-finals of ONE Flyweight World Grand Prix. It was the 13th among the 15 bouts at “ONE: Roots of Honor,” which took place at the SM Mall of Asia Arena in Pasay City, Metro Manila, Philippines on April 12, 2019. After three five-minute rounds, the flyweight bout between Wada and Balart was left in the hands of the judges. In the end, the Cuban contender lost to his Japanese opponent via unanimous decision. Balart was visibly surprised by the decision. So were the crowd who expressed support by cheering for the Cuban mixed martial artist, who was a Greco-Roman wrestler. While Wada was officially declared as the winner, Balart climbed the cage as a simple way of protesting against the decision. The crowd supported the Cuban fighter with continuous applause and cheer from the time he climbed down the cage to the moment he entered the exit door. The spectators enjoyed how Balart competed toe-to-toe despite the height disadvantage. He only stands 4’11 while Wada is 5’7″. Even ONE Championship chairman and CEO Chatri Sityodtong said during the post-fight press conference that he thought Balart won the bout. Had the Cuban fighter won, he would face Demetrious “Mighty Mouse” Johnson, 32, of the United States in the semi-finals of ONE Flyweight World Grand Prix. Losing to Wada downgraded Balart’s professional MMA record to 8 wins and 2 losses. On the other hand, the Japanese fighter now has 21 wins, 10 losses and 2 draws. As an amateur Greco-Roman wrestler, Balart won gold in his division at the Pan American Games in Mexico in 2011 and represented Cuba at the Summer Olympics in London, England in 2012. 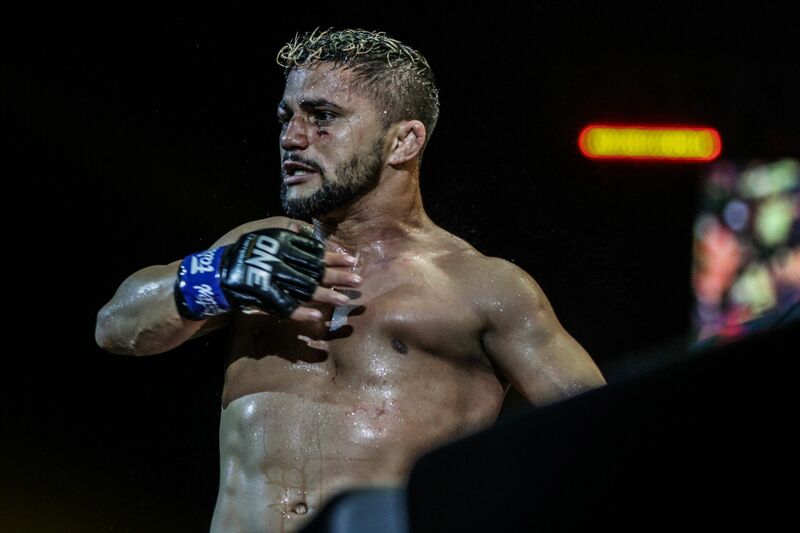 When he made his professional MMA debut at “Latin Fighter Championship 7” on August 1, 2015, he defeated Mauricio Gomez Oquendo, 31, of Colombia via unanimous decision. In 2016, Balart went on hiatus. Before joining ONE Championship, the Cuban fighter competed in Titan Fighting Championship from January 21, 2017 to January 25, 2019.